As the fossil remains lack the whale’s skull, the Bulgarian paleontologists are unable to determine its exact species but have identified it as a species from the Cetotherium sp. family, the Varna Regional Museum of History (Varna Museum of Archaeology) has announced. The whale whose fossil was found near Bulgaria’s Varna is 2.5 meters long. The whales from the Cetotherium sp. family lived during the Miocene, between 15 and 10 million years ago. Even though the name of the whale family means “whale beast", the Cetotherium sp. whales were smaller than the contemporary whales. They were about 2-4 meters in length, and weighed about 1 metric ton. They belonged to the so called baleen whales, and fed on plankton that they filtered from the sea water with their baleens. “One of the characteristics of this family of whales is that they baleens were rare and not very developed which from the point of view of evolution means that they were a transitional link to the development of today’s whales," says Dr. Stoyan Vergiev who is the curator of the paleontology section of the Varna Museum of Archaeology (Varna Regional Museum of History). The fossil of the whale from the Cetotherium sp. family in the rock on the Bulgarian Black Sea coast was originally discovered about a month-and-a-half ago by two locals, Georgi Doychev and Nina Doycheva, who alerted the archaeology museum in Varna. After it was identified as a whale fossil by the local paleontologists, the find was kept secret to prevent treasure hunters from stealing it until it could be recovered. “We have kept it a secret out of security concerns since my initial suspicions that part of the fossil had been destroyed in the most barbaric way possible have proven justified," Vergiev explains. 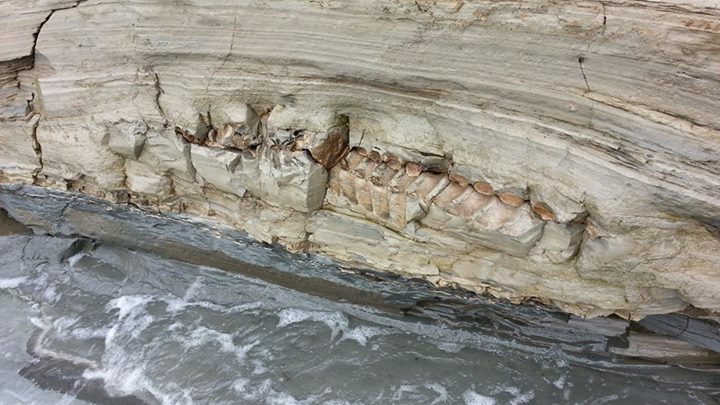 The Varna Regional Museum of History has pointed out on its Facebook page that rogue “paleontologists" have nonetheless managed to steal part of the whale skeleton, while the sea waves destroyed another part of the remaining fossil. In spite of the rough terrain and the inaccessibility of the fossil location, most of the fossil has been excavated and taken to the Varna Museum of Natural History where it is being studied and conserved. The local paleontologists are going to inspect the sea bottom in the area where the fossil was found. “The fossil is fragmented but even what has been left of it bears valuable information about this whale family, their way of life, and their environment. This fossil find is also important because it has been established that many of these whale suffered traumatic changes to their bone structure, something like today’s osteoporosis. There are several hypothesis as to why this happened. One is that it was caused by changes in their way of life. Another is that it was caused by changes in sea environment. We are about to participate in a large-scale international project on this topic," Vergiev explains. The Varna Museum of Archaeology has reminded that its paleontological collection already features individual vertebrae and ribs from prehistoric whales found over the years around Bulgaria’s Varna, whose region is said to be rich in fossils. It also has bones from other prehistoric mammals that inhabited today’s Northeast Bulgaria such as prehistoric elephants, rhinoceroses, and tortoises. Some of the museum’s most valuable paleontological items are three teeth from the prehistoric elephant Protanancus, and a lower jaw of another prehistoric elephant, Deinotherium giganteum. 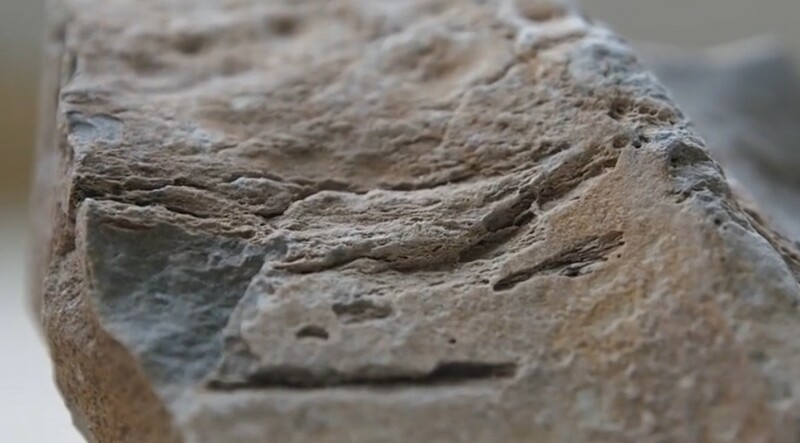 The Varna Museum of Archaeology says its exhibition area has been insufficient for showing all of its paleontological finds, which is why Dr. Stoyan Vergiev, the curator of its geological and paleontological collections, is set to prepare a new exhibit. Paleontology in Bulgaria started to develop as a separate discipline in the second half of the 20th century. Consistent with the type of the specific fossil finds, Bulgarian paleontology has been focused mostly on the study of prehistoric mammals (such as elephants, rhinoceroses, whales) of which numerous fossil deposits have been found, and paleo-ornithology, the study of prehistoric birds. There have been few discoveries of fossils from dinosaurs, fish, and amphibians, and, respectively, little academic effort dedicated to those fields. So far only two dinosaur species have been proven to have lived on Bulgaria‘s territory – an ornithomimosaur species and a hadrosaurid species, as well as the aquatic lizard species of mosasaurus.